The upstream end of Latchmore is already boggy (see below). 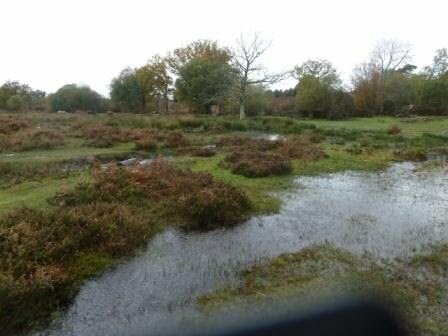 The Friends of Latchmore are concerned that restricting the flow of the brook downstream of this point, whilst leaving the substantial drains upstream in Alderhill Inclosure unchanged, will add to the flooding in this area and increase the size of the bog. There is a popular path through this area which is likely to become impassable.